August | 2015 | Quidquid Est, Est! If you missed parts I through IV, check them out here. Chapter Four of Laudato Si is entitled “Integral Ecology.” Here, Pope Francis again focuses on the interrelatedness of all of creation. Everything in creation, every animal and rock, person and plant, is essentially good, since it has being, which comes from God (even mosquitoes!). We are part of nature, not just living in it. What we do to nature affects us, and what we do to ourselves affects nature. The problems in today’s society are not divorced from the problems in the natural world. As Pope Francis says, “We are faced not with two separate crises, one environmental and the other social, but rather with one complex crisis which is both social and environmental” (139). As such, we need to study and develop ways to live with nature and with each other, respecting others and the creation God gave us. We depend on nature for our physical existence, for food, water and shelter. “We need only recall how ecosystems interact in dispersing carbon dioxide, purifying water, controlling illnesses and epidemics, forming soil, breaking down waste, and in many other ways which we overlook or simply do not know about” (140). This, the Holy Father notes, is why “sustainable use” natural resources are so important, so that we can utilize our world while allowing it the chance to grow back. One of the best examples of this is planting trees where forests were harvested, or having fish farms to protect wild fish populations. Two social issues expand on the pope’s discussion of sustainable use. The economic systems of our nations should reflect our effort to protect the world, and our society should enforce laws which deal with environmental and human factors. Economies are only helpful in so far as they help the people of a nation, and they should take into account environmental factors as well as human ones. A nation which has laws protecting the environment or defending the innocent, but does not enforce such law, does more harm than good. What good are laws if they are not enforced? This leads to a culture of disrespect. Speaking of culture, Francis next turns his attention to a “cultural ecology,” which is not as much a culture of ecologists, but rather approaching human culture with the same care as one approaches the environment. This is an important discussion because we face not just the extinction of plants and animals in our world, but also the extinction of entire ways of life. Too often man-made environmental changes, either exploiting or protecting the ecosystem in question, ignore the needs of indigenous groups, who have coexisted with their natural neighbors for centuries, in some cases for millennia. Because of their important role in understanding an ecosystem, indigenous cultures should be brought into environmental discussions. “When they remain on their land, they themselves care for it best” (146). Working with these people, rather than against them, shows respect for the whole ecology of a region. 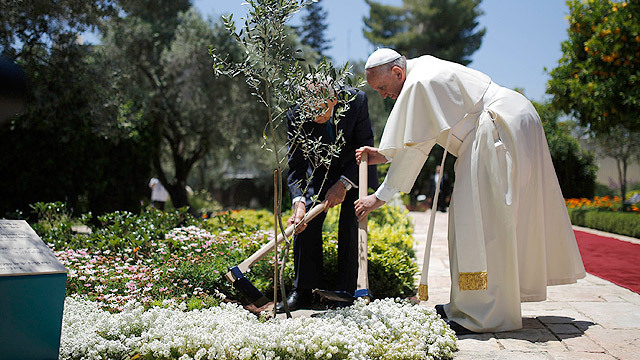 Pope Francis next examines how we can incorporate this ecology into our daily lives. It is, in a sense, about taking care of our own environment, specifically where we live and work. The pope’s reflection calls to mind Christ’s teaching “Love your neighbor as yourself” (see Matthew 22:39 and Mark 12:31), for if we do not properly love ourselves, we cannot properly love our neighbors. We cannot care for the world-wide environment if we cannot care for our local, personal environments. In this context, Pope Francis addresses again the issue of extreme poverty, which plagues so much of the world. In these situations of disease, filth, and violence, it may seem that all is hopeless. However, as human history shows, “love always proves more powerful” than the evils of a corrupt city (149). We need to remember that charity isn’t just giving money; it is acting in love, namely the highest form of love. Charity is that sacrificial love of another, caritas in Latin, agape in Greek. It is the love which St. John the Evangelists, the “beloved disciple,” uses to describe God (1 John 4:8). So in charity, we help out neighbors, whether it be giving money to help them, or helping build them proper homes (in paragraph 152, Pope Francis notes that “lack of housing is a grave problem in many parts of the world”). Human ecology also implies another profound reality: the relationship between human life and the moral law, which is inscribed in our nature and is necessary for the creation of a more dignified environment. Pope Benedict XVI spoke of an “ecology of man,” based on the fact that “man too has a nature that he must respect and that he cannot manipulate at will” [here he is quoting Pope Benedict’s address to the German Parliament, the Bundersrat, in 2011]. It is enough to recognize that our body itself establishes us in a direct relationship with the environment and with other living beings. The acceptance of our bodies as God’s gift is vital for welcoming and accepting the entire world as a gift from the Father and our common home, whereas thinking that we enjoy absolute power over our own bodies turns, often subtly, into thinking that we enjoy absolute power over creation. Learning to accept our body, to care for it and to respect its fullest meaning, is an essential element of any genuine human ecology. Also, valuing one’s own body in its femininity or masculinity is necessary if I am going to be able to recognize myself in an encounter with someone who is different. In this way we can joyfully accept the specific gifts of another man or woman, the work of God the Creator, and find mutual enrichment. It is not a healthy attitude which would seek “to cancel out sexual difference because it no longer knows how to confront it” [here he is quoting one of his own Wednesday Audience addresses from April 15, 2015]. Pope Francis is clearly rejecting the popular manipulation of the body. He isn’t talking about staying healthy or trying to loose weight. He is talking about gender identity. He is talking about masculinity and femininity and the role those two aspects of human nature play in our lives. There are certain traits, gifts from God, associated with being a man and being a woman. We must embrace who we are and not seek to change our gender to fit our wants. If I am a man, then that is part of who I am. The same goes for women. Otherwise I cannot “recognize myself in an encounter with someone who is different,” which is literally every other human being in existence besides me. If people in society cannot recognize themselves for who they are, then we have a society which cannot communicate, which cannot relate to its own members. There is an important difference between men and women (and it is more than their reproductive organs). Differences aren’t bad, of course; they are essential. A woman isn’t less than a man because she is not a man, nor is a man less than a woman because he is not a woman. It is an important discussion, one which I should discuss in a later post. For now, I would like to move to the end of the encyclical. Pope Francis concludes the chapter with a brief discussion of two points: the common good of society and justice between human generations. Remember a point made during our last reflection: the Church’s teaching concerning care for the environment falls under God’s prohibition against stealing. We cannot steal the gifts of God from later generations, in particular the gifts of our world. We cannot rob our children of their planet, nor should we simply solve the immediate problems and leave the larger ones for someone else. That is not the way a family solves its problems; our human family should not turn to that solution either. In other words, when we plan how to protect our common home, we must think of long standing solutions, cures rather than bandages. Take a polluted river, for example. A short term solution to the pollution would be to remove the garbage that collects along the river’s banks. A lasting solution, in light of what Pope Francis teaches, would be to educate future generations to respect the not pollute, to conserve water, etc. Nor should we sit back and say there is nothing wrong with our world from where we sit, so there is nothing we should do. The pope’s major issue here is individualism, which is when we make ourselves the measure of the rest of the world. It stems from one of the great moral evils of our modern world: utilitarianism. The Holy Father is writing against such selfish evil, the “what’s in it for me” mentality that infects pseudo-philanthropy. But we are not the center of the world. Our world is more than an extension of our personal yard. It is a home shared with all of humanity, our extended human family. We must first recognize the other man, the stranger whom we dread to meet. Again, the refrain of the encyclical appears: the environmental problems in today’s world stem from an even greater problem in our society. We need a proper human ecology.